This is a topic I’ve been wanting to cover for a very long time, with the epidemic of this urban myth growing out of control I feel the time couldn’t be better to finally address the issue at hand. I have no doubt whatsoever that every single person reading this article has at some point in their cryptocurrency investment career seen a well respected figure, ‘expert’ or maybe even myself speculate on the price a cryptocurrency can reach in the near future, only to be swallowed whole by armies of individuals rushing to state that it’s all impossible because the “market cap would exceed…” followed by a generic thoughtless phrase such as the entire global GDP, Apple, Microsoft or even the entire crypto market capitalisation itself. Sound familiar? Maybe more familiar than we’re comfortable with admitting. It’s easy to identify who truly understands the market dynamics of the crypto market alongside the true influence of speculative capital powered with a nice side dish of FOMO, in comparison to those who have parroted generic information from social media and Reddit and use that to voice thoughtless opinions on others making valid points towards the future of where this space is heading. What’s upsetting is not the fact so many have adopted the wrong mindset and understanding of the cryptocurrency market behaviour, because this is mostly due to ignorance anyway, but what’s unfortunate is they are limiting themselves from identifying the next great investment or trade because they’re so fixated on ‘realistic’ coin growth. If realism is anything to go by, this market is certainly not the place to find it as history has proven with Bitcoin soaring to $20,000, XRP (the arch nemesis and biggest victim of the market cap myth) blowing expectations by exceeding $3 and even the crypto market cap in its entirety almost nearing $1Trillion. Those who preferred to abide by the realistic ideology and stay clear of these groundbreaking moments, missed the groundbreaking profitability that accompanied them. So before anything, what is the market cap measurement for cryptocurrencies? That's it. This simple formula, probably because of its dead simplicity, has resulted in a global adoption by the masses as some form of meaningful indicator and limitation towards price growth. No serious investor would ever acknowledge this measurement, because it means absolutely nothing. When valuing a company listed on the stock market, the market cap is how you determine its worth and price per share, except in the stock market this figure is regulated and shares cannot be added and distributed within the market as this would devalue the investors holdings, unless approval is gained from the stock exchange prior. A good example is to use a theoretical company with 100,000 shares available to the market with a current value of $10 per share, to keep things nice and simple. That puts the company’s valuation at $1Million, simple and easy stuff. 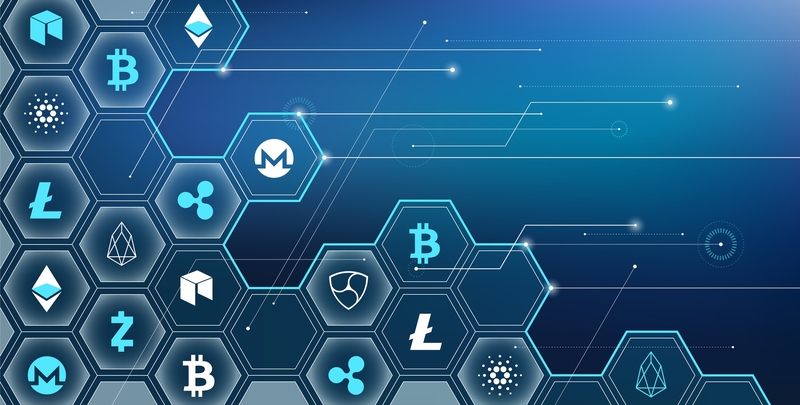 But now let’s go back to the crypto market where suddenly there is no such regulation and quite frankly, more in resemblance of a minting factory where shares (a company’s coin/token) can be increased and flooded to liquidate the market whenever they please, this is so common in cryptocurrencies that many companies actually target a certain percentage of coins to be added to their pool and holdings each year. This may come as quite a shock to some and I will use the current price of Bitcoin to help this fact hit home hard, the price right now is fluctuating just below $6,631 but for this matter let’s make things easy and say the price is frozen at $6,300 with a hefty pool of about 17 million coins in circulation, this doesn't represent a figure of $113Billion of funds actually liquid in the market. So, for a cryptocurrency to have a market cap of $1 billion, maybe only $50 million actually moved into the cryptocurrency. Therefore, if that coin collapsed completely, its market cap would go from $1 billion to zero, but investors would have actually only lost $50 million". Let’s get right back into collapsing this theory by covering one of the most common topics when the invalid market cap argument arises, that being comparing one crypto to another by this measurement. The most preached staple of measurement is always the pole position holder Bitcoin’s market cap as some sort of indicator of maximum market cap value for any other coin, which again makes no sense whatsoever as each and every coin/token has a variable means of use-case in comparison to the other. Why does Bitcoin's market cap have any relevance to Ethereum's, or Ripple's if they all set out to be used in different manners? This is purely psychological and adopted by the sheep mentality which over time has become a meaningless measurement of growth, especially when using Bitcoin as the staple of how high price can peak, which theoretically means that Bitcoin’s colossal market cap or even the crypto market cap in its entirety is the highest we can go up to its prior all time highs. I hope you’re starting to see how irrelevant this really is now, more so when you factor in that less than 1% of the world even own cryptocurrencies right now, meaning when the next capital surge from elite wealth floods the market and let’s say in imaginary numbers took BTC to $500,000 per coin, would the others be capped at the market cap Bitcoin had at $20,000 per coin? Far from, comparing one crypto’s market cap to another as a measurement of future valuation is the equivalent of comparing your pet cats behaviour to your pet tortoises behaviour as an estimate of future behavioural tendencies. Let me break this theory down even further with a more complex example of Ripple’s XRP at approximately the current time of writing. But what happens when we factor in the fact that these prices are purely formed off speculation and external factors not directly correlated with the utilisation of these coins being purchased by investors, as after all, 99% of the coins circulating the crypto market that we have invested in have barely begun a global-scale adoption for usage yet, so price is solely driven off supply and demand - What we, the people have determined it to be worth. What about if I saw huge value in XRP and decided I wanted to buy 1 XRP for $0.60 per token on an exchange and I proceed to do so? In looking at the example above, only $0.13 worth of new capital entered the market, however, the price per token has now found a new speculative value determined by the consumer (myself) of $0.60, which would quickly become reflective across the exchanges investors use worldwide to purchase their crypto. With XRP now theoretically worth $0.60 per token thanks to supply and demand, combined with the fact I have purchased a token already in circulation as this was done by the most common method in the world - an exchange, the circulating supply remains the same but the market cap now automatically becomes a whopping $23.4Billion purely because a new value was given by the consumer with the supply remaining untouched throughout the entire process. This concept is one of the most common misunderstandings in the crypto space and hopefully comes as a major eye-opener for those of you who have either been cautious of investing because of this psychological limitation or because you’ve heard this rumour lingering online. Remember, most people seriously have no clue what they’re doing in this space and have only made their first investment in crypto within the past 12 months, choose where you take information from wisely and more importantly, digest how young this market is and what truly drives the price fundamentals behind the scenes. Everything we imagined as impossible in the finance world has been proven wrong by cryptocurrencies, don’t let a limited mindset destroy your opportunity of catching the next Goliath moves to follow in this market. Uh, one guy selling his xrp at $0.60 is not going to affect the price, let alone the market cap. Lots of talk, with no only the most flimsy evidence to back it up. Thank you Torayk! you always make my day! thanks for the inspiration! Your a LEGEND point blank! Thank you for your continued amazing education! Amazing article once again. Absolutely shattering the myth behind the market cap and the current/future prices of crypto. I truly needed to read this as I’m sure many others did too. Legend. When someone brings up market cap, I ask them if they know what the global GDP is? We are talking about a multi trillion dollar market here. Legend 😎🤗👏👏 straightaway to the point. Great stuff! Thanks so much! Learning exponentially because of you and the Cryptonary course! Wow! Amazing article Toray. Once again you’ve provided some great content! What a eloquently written article. It was sweet and straight to the point. Keep up the good work my friend. Great article, Toray! In order to understand this 100%, I need to read it many times for sure, but I now understand why market cap is irrelevant and nothing to worry about in Crypto world!! Thanks for your wise words man! Keep up the good work as usual!!! Fire article as always T.
Always on the spot , a great read . So basically because cryptos are unregulated and nobody has any idea of how to truly evaluate these companies yet (less than 1% participation so far), it’s too early to think about a market cap ceiling. Not that market cap is unimportant, it’s just not relevant until it becomes familiar like stocks... right? amazing. true knowledge. wow . i am speechless. real eye opener. #firstcryptonarymember and proud bro. Amazing coverage of this topic. I will be sending this on too so many people as they are obsessed with 'MARKET CAP' but I've a feeling this will change there views very quick. All I can say is amazing and thanks for taking time out of your day too giving us free knowledgeable information.